It’s entirely possible that when Albert Murray died in 2013 at the age of 97, jazz lost its biggest fan. That sounds like a huge call but after reading this book, I think it can be made. Murray Talks Music is a collection of unpublished interviews, and a few short pieces. For any other writer, this might make for a slight volume but Albert Murray clearly didn’t do slight. These are all of considerable weight. His observations on jazz, blues, art, aesthetics, race, and literature come fast and furious here. So who is this Albert Murray? If you haven’t heard of him you will wonder where you have been after you’ve read a few of these interviews. He was a jazz critic, possibly the greatest ever, a novelist, and a biographer. His first book was published when he was 54 years old, following a career in the American military. 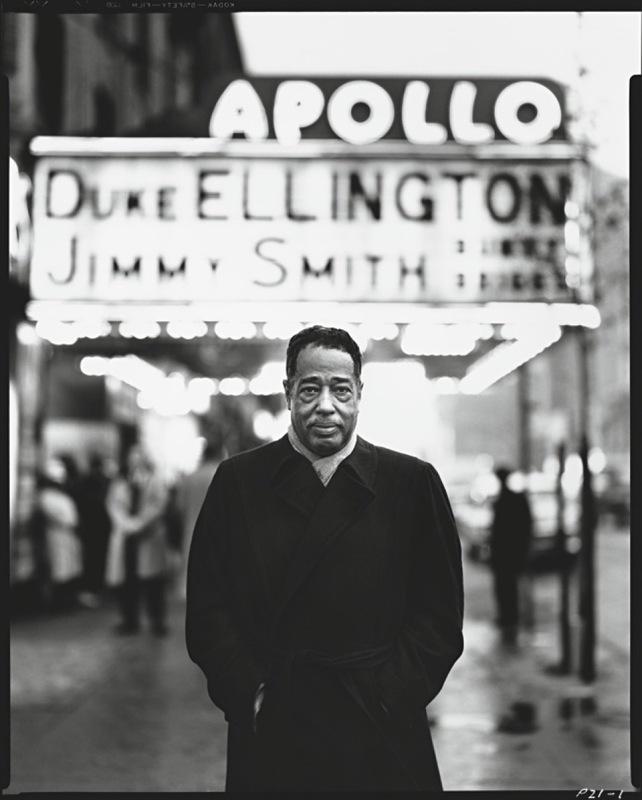 Along with his protégés, Wynton Marsalis and Stanley Crouch, he co-founded Jazz at the Lincoln Centre. And he was the biggest jazz fan who ever lived. This is a man who possessed such a fine understanding of the form that he was treated like an equal by Duke Ellington, Count Basie, Jo Jones and many others. The discussion – interview isn’t the right word – with Dizzy Gillespie is remarkable. The trumpeter is completely relaxed. Even the friendliest of musicians, and Dizzy was pretty friendly, are wary of interviewers. There is more than a little pressure to get things right and not misrepresent their music, their colleagues, themselves. Dizzy trusts Murray and talks openly about his career and the people he played with, particularly in the early days. It’s without doubt one of the most satisfying exchanges between a musician and writer that I have ever read. His love of jazz goes far beyond his vast knowledge of the music and its players. For Murray, jazz is the purest form of American art. Like the country itself, it is about innovation and improvisation. Jazz music, he says, is the sound of a restless nation pushing against boundaries and frontiers. It is also, for Murray, an African American art form. 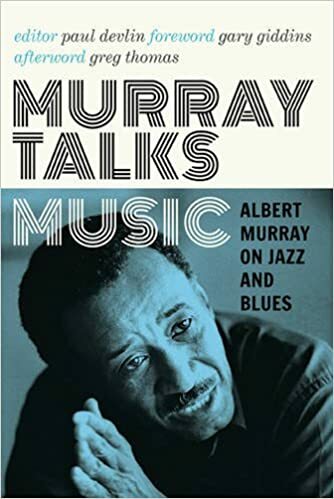 Some of his critics, notably Terry Teachout, have suggested that he underrated white jazz artists but Murray’s views here are far more complex. His position was that the race problem in America is one of definition and artificial lines. America for Murray was an idea, rather than a geopolitical or economic entity. He believed that African Americans were the ‘real’ Americans because they arrived from Africa with no language and no culture. They absorbed the culture of America and practiced it in its purest form, untainted by a sense of Europe as a center. 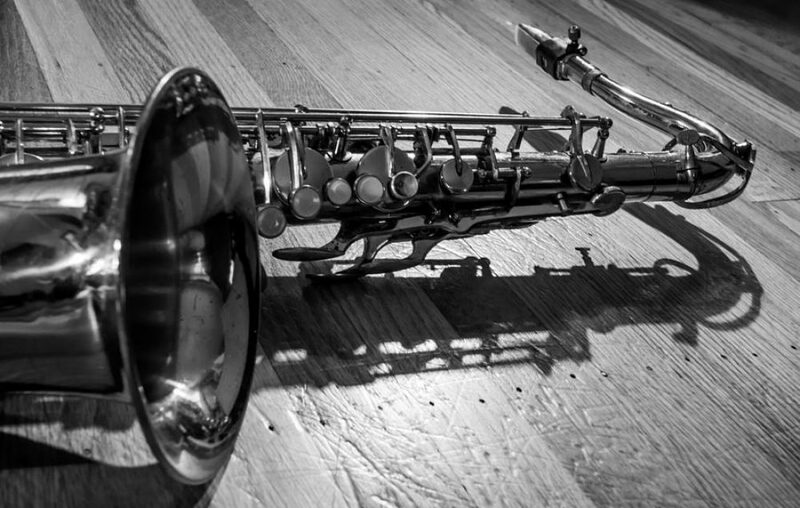 They were thus able to create jazz, the greatest and perhaps only truly American art form. His first book, The Omni Americans (1970), a response to Patrick Moynihan’s damning 1965 report on the state of African Americans, suggests that the way forward could be in a redefining of American culture, to recognize the contribution of everyone involved, rather than any one group. Sadly, this probably still seems overly idealistic almost 50 years later. However, while pondering this, it occurred to me that the blues heritage of Mississippi and Chicago are now institutionalized in a manner that would have seemed unlikely even 25 years ago. When I visited Maxwell Street, Chicago, in the early 90s, the market was closed and there was no sign that this was one of the crucibles of American music. It is now heritage listed, the market has reopened, and tourism has revived what was a very depressed neighbourhood. Richard Daley’s son, of all people, made this happen! It would be lovely to think that we might one day say that music provided the groundwork for a real change in race relations in America. Albert Murray’s own influences are of great interest as well. Though best known as a jazz critic, he was also a novelist who thought deeply about literature. Again and again, he makes reference to novels like The Magic Mountain and the ideas of Andre Malraux. Now there’s a name you don’t hear much these days! Intriguingly, he doesn’t seem to have had much interest in African American literature. He never mentions figures like CLR James and is dismissive of Zora Neale Hurston. Toni Morrison even gets a quick brickbat for Tar Baby. 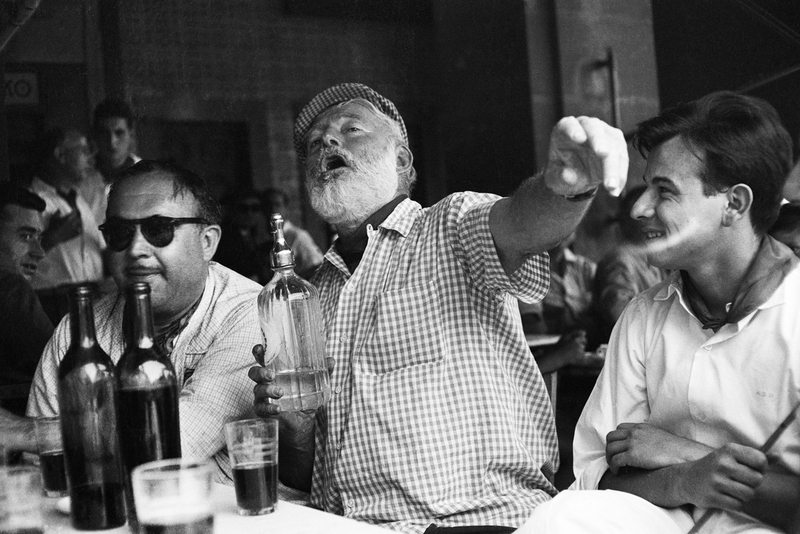 As far as jazz in fiction, he seems to be only impressed by one American writer: Ernest Hemingway. Yup, Papa’s staccato sentences and uncluttered phrasing has a distinct jazz sensibility according to Murray. I have read similar things about Eliot’s early poetry. Murray, like others, links jazz to Modernism at points. I would have been curious to know his thoughts on the Beats, surely the most jazz influenced of all writers’ circles. I also wondered what he thought of Walter Mosely. But then I spent the whole book wanting to ask Murray questions. But what about Ralph Ellison, you ask? Good question. They were lifelong friends and their correspondence is collected in Trading Twelves: The Selected Letters of Ralph Ellison and Albert Murray. I ordered a copy – you can borrow it when I’m finished! Though it’s never stated, I had the feeling that Ralph was possibly not the jazz fan I might have imagined and that perhaps Albert Murray played Ezra to his TS in this area. Make it new and put some jazz in that book! The final interview is a transcript of a radio program that he did with the combative critic, Stanley Crouch. Probably the most remarkable aspect of it is how deferential Crouch is to Murray. But then Crouch is controversial because he rejects most of the rhetoric around race and music in America. Crouch is a formidable critic and a force of nature in interviews but he remains a Murrayite. The long discussion with Wynton Marsalis that opens the book is riveting. I’ve always enjoyed reading interviews with the trumpeter. He is highly articulate, passionate, and opinionated. There is a widely held perception that he is something like the active political wing for Stanley Crouch’s program. I now believe that the program might actually be Murray’s! So, you might ask, what did the biggest jazz fan in history listen to? Clearly, The Count and The Duke were his guys. He saw Ellington as a major composer on par with Beethoven, except that he thought Ellington was better. The Count seems to pull more at his heartstrings though and is the musician that best illustrates his theory of the blues. I won’t spoil it here. If his love for these two figures seems conventional it is probably because Murray created the convention. He makes a good case too. I only wish he had lived long enough to take down Adam Gopnik, after that thuggish dismissal of the Duke in the New Yorker last year! It’s hard to believe that Murray never played music. Most music writers, it must be said, are frustrated musicians. I certainly am! Murray does admit to tinkering with bass at one time but certainly never at a level he himself would have rated. Reassuringly, he says that music writers don’t need to be able to play music, they just need to be able to listen to it! It’s a good point and, if it is true, there is no doubt that this man was the Art Tatum of listeners. Teasers: A masterclass in fact checking as Murray cross examines trombonist, Don Minor on the beginnings of the Basie band; Dizzy and Albert reveal the BeBop creation story. Hint: it all started with Earl Hines. Jo Jones laying it down with Coleman Hawkins. For Murray, Jones was THE jazz drummer. This entry was posted in Jazz, Uncategorized by sturdeeroe66. Bookmark the permalink. Great piece on someone I didn’t know! Loved the Jo Jones drum solo, but then you knew I would.